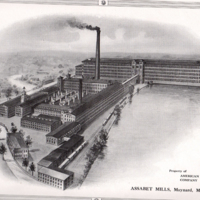 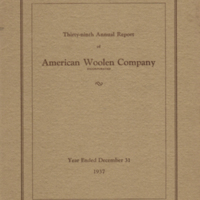 The American Woolen Company mills as they appeared in the early 1900's. 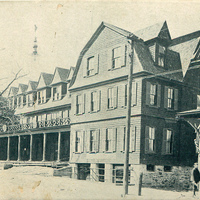 85 room boarding house built by the American Woolen Company in 1902. 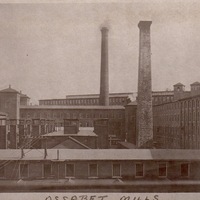 It was sold to the Town in 1934 for a Town Hall. 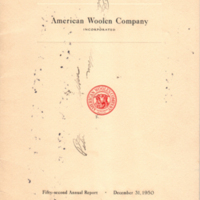 In 1963, it was razed and the US Post Office was built on the site (3/2/1963). 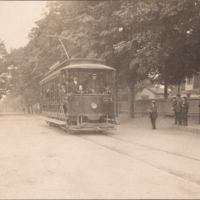 Concord, Maynard & Hudson Street Railway. 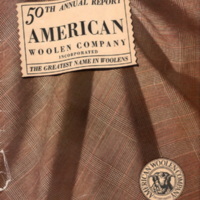 A group of employees of the Woolen Mill about to take a trip on an open trolley car. 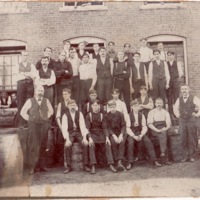 Photo taken on Main Street in front of the Congregational Church. 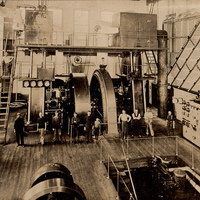 Photograph of the Mill Power House taken in 1902 showing huge steam-powered generators, electrical distribution equipment, wiring, and the operators of the equipment. 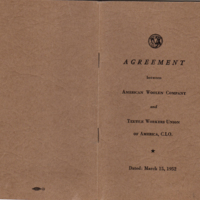 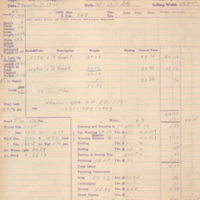 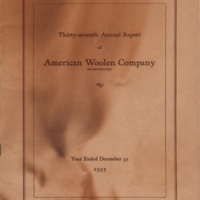 A booklet about the American Woolen Company's Insurance Plan, found in house on Park St.
A book of pictures of all the American Woolen Mills properties. 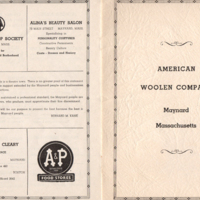 "George Washington Slept Here" - A Comedy - 1945. 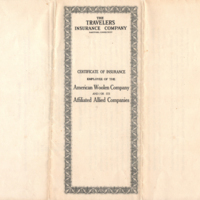 A Program for the comedy "George Washington Slept Here" presented by the St. Bridget's Parish Players, January 29, 30, 31, 1945. 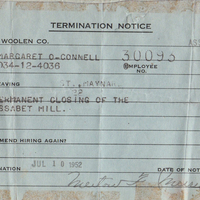 An American Woolen Mill closing notice for employee Margaret O'Connell, July 10, 1952. 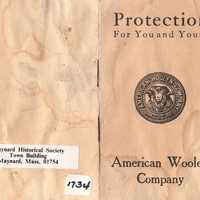 A series of Certificates of Insurance from the American Woolen Mill Company for the employees in 1923-1924. 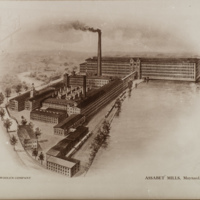 This view of the Assabet Mill was taken looking out over the roof of the dye house. 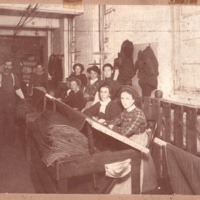 Specking room employees working at a loom. 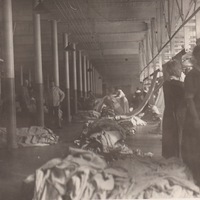 Members of the dry finishing department at the American Woolen Mills 1931.